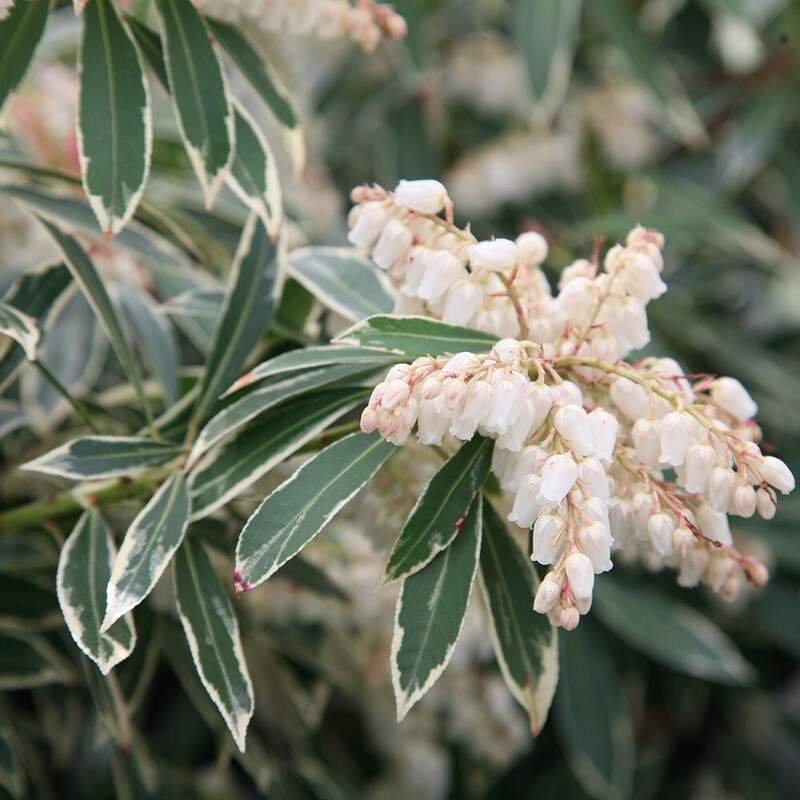 A pretty, small, variegated, evergreen shrub with bright red, young leaves which develop silvery-white edges, contrasting beautifully with the older leaves. In mid and late spring, clusters of pretty, white, nodding bell-like flowers, resembling lily-of-the-valley appear. This compact shrub looks wonderful in a shady shrub border with well-drained, acid soil or in a container in a patio or courtyard garden. Garden care: Add composted pine needles or ericaceous compost when planting and apply a generous 5-7cm (2-3in) mulch each year around the base of the plant in early spring. Remove the faded flower heads in late spring along with any frost-damaged foliage. Instructions suggest full sun, but it's doing well on a west facing well, despite threats from neighbouring crocosmia (which is about to be evicted!) Very pretty foliage and delicate flowers. Great quality on arrival. Survived last years beast from east winter so very hardy. Is looking great in the garden. Great healthy plant delivered. Crocus delivery is exceptional. Lilly of valley flowers forming on plant. Can't wait for the spring to see the red leaves I love about this plant. Hello, These plants require little pruning apart from dead-heading and removing frost damaged stems, If however you want to encourage bushier growth, you can give it a light trim each year after flowering. As for producing a new plant from low-growing stems, you can 'layer' these as follows. Mark to point where the stem touches the ground with a short bamboo cane. Dig a sloping trench from the shrub to the cane, so the deepest point (approx 8cm) is near the cane. Make a 2.5cm long slanting cut along the base of the plants stem where it touches the ground and using a soft brush, dust the cut with hormone rooting powder. Using stout wire pins, peg the stem into the base of the trench and bending the tip of the stem, tie it onto the cane. Back-fill the hole with fresh compost and water well. Once the stem has developd roots, it can be severed from the parent plant and potted up. 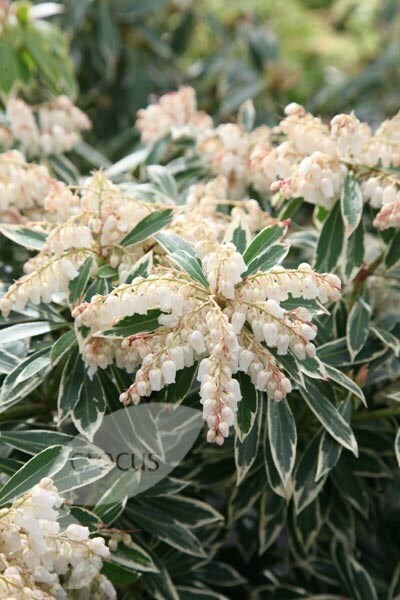 My Pieris "Flaming Silver" is not flaming, lots of flowers/silvery leafs but no red this year. Is there something that I can feed with to bring back the colour. The plant is about eight years old and growing well.